I recently received Dorie Greenspan's Around My French Table and now I know what everyone is raving about. I want to cook everything. 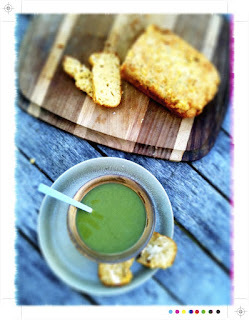 Just from the first chapter on hors d'ouevres three recipes got a run this weekend and none disappointed. There are a raft of others I want to try and I am only up to chapter 2. It is everyday recipes at their very best, not too complicated, fresh seasonal ingredients all coming together with a little French flair. My kind of cooking. As much as I like to venture out to eat some the fancy schmancy stuff it is not what I enjoy cooking at home. So this is much more my kind of style of French food. I want to cook meals that can be shared and bring people together round a table everyone tucking in, wine and conversation flowing. I also love the way this book is written. Each recipe with a little intro, a little history and tips on serving and storing and interspersed throughout little Bonne Idees. Not to mention the gorgeous pictures. For me right now this book has just overtaken Ottolenghi's Plenty, and anyone who reads this blog knows how I feel about that particular book! I made it to the beginning of the soup chapter, chapter no. 2, and I couldn't go past the Cheating-on-Winter Pea Soup given that is was a seriously chilly Auckland morning. Winter is not my favourite season so any chance to cheat it a little or infuse it with a little Spring works for me. How I survived winters in Scotland I have no idea. We really can't complain here in Auckland. I even coped with winter in Edinburgh in our student flat which was Georgian with incredibly high ceilings and a somewhat palatial living room. Being poor students, or rather designating cheap red wine and a social life way more important, the central heating was deemed way too expensive so it was a huddle on the sofa with several blankets, the little electric heater and the cheap red wine to try and stay warm. 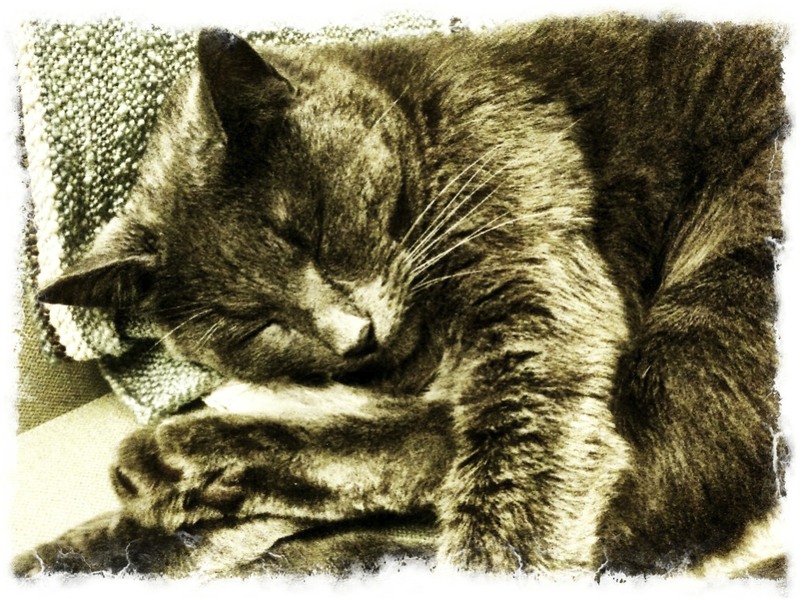 Oh how I, and the cats, appreciate now having a heat pump and good red wine! Well the cats love the heat pump, they are not really big wine drinkers! 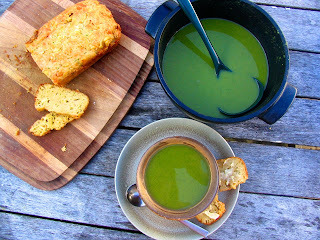 So this bright green soup appealed. 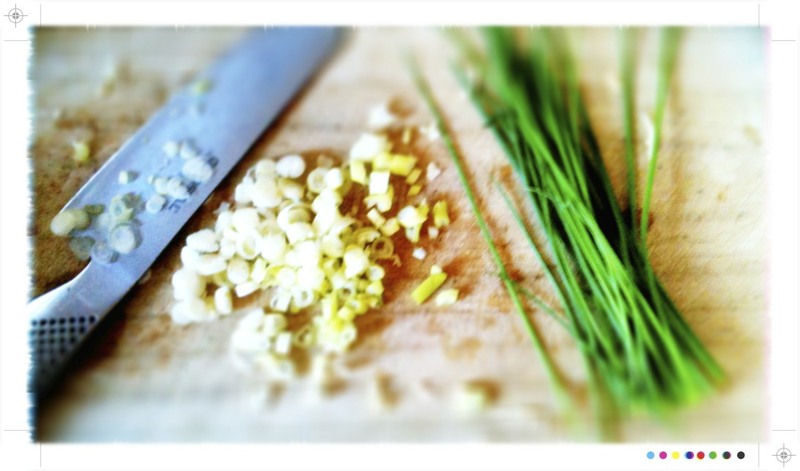 It is so simple to make, seriously 15 minutes and you have a bowlful of spring. It could be tszujed* up a little with a swirl of cream or creme fraiche. 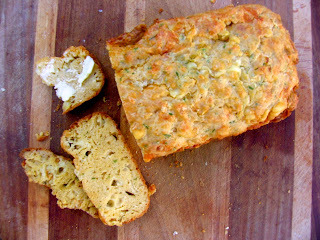 And on the side a Savoury Cheese and Chive Bread. As a lover of all things bread and cheese, I couldn't go past that one. Optional: Crumbled bacon, pancetta or crisp prosciutto to serve. Cream fraiche, cream or sour cream to serve. Melt the butter in a medium Dutch oven or large saucepan over a medium heat. Add the onion and cook until it just softens. It will take a few minutes. Season with salt and pepper. Add the broth or water and bring to the boil. Stir in the peas, frozen is fine, and the lettuce. Lower the heat and simmer uncovered for 10 minutes. Next blend the soup in a food processor or with a stick blender. Blend until you have it as smooth as it will go and then press it through a sieve as the pea skins won't puree perfectly and this is a soup that is best completely smooth. Taste and add more seasoning if need be. It can be served hot or cold and topped with a swirl of creme fraiche or cream and a little crumbled bacon or I think a few crispy shards of prosciutto would be perfect too. 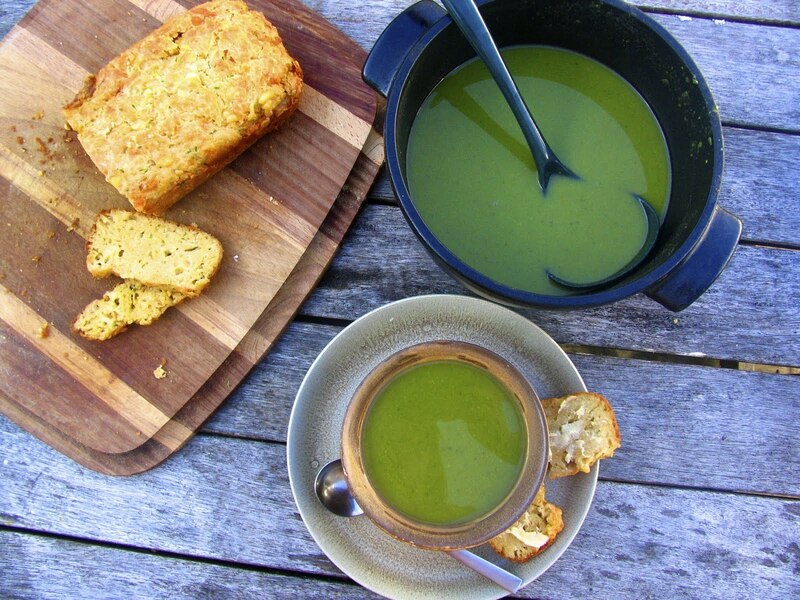 This really is a soup to brighten a winter's day. The vibrant green can't help but bring a smile and a reminder that Spring will soon, or soonish, be on the way. It is smooth and slightly sweet from all those lovely little peas. I served it with some cheese and chive bread, also from Around My French Table. *I had a little Gruyere left over from the gratin so a good way to use up little bits of cheese lurking in the fridge. **The pantry was missing walnuts but will add them the next time or maybe even a little bacon. The sky's the limit really with what you could add...olives, sun dried tomatoes, feta, different herbs like basil, thyme or parsley. Pre-heat the oven to 175F / 350F and place a rack in the middle. Butter a loaf tin (8 x 4 1/2 x 2 3/4 inch). I your tin is slightly larger like mine then your loaf will just be a little lower and not take quite so long to cook, unless you have an antiquated oven like mine and it will take just as long. Just keep an eye on it towards the end of cooking. You will know the loaf is cooked when a skewer comes out clean. In a large bowl whisk together the flour, baking powder, salt and white pepper. 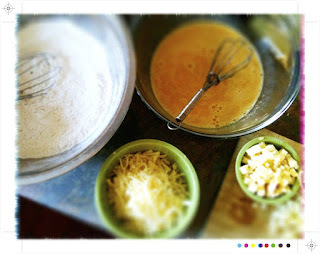 Place the eggs in a medium bowl, whisk for a minute until they are blended and foamy. Next add in the milk and olive oil and whisk everything together. Pour the wet ingredients over the dry ingredients and gently mix together with a rubber spatula or wooden spoon. Be gentle as you don't want to toughen the dough and mix just until it all comes together. Add in the cheese, herbs and walnuts and gently stir them through the mixture. 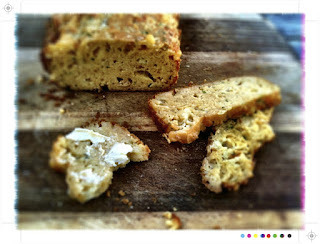 Pour the dough in to the butter loaf tin and even the top with a spatula. Bake for 35-45 minutes or until the bread is golden on top and a skewer comes out clean. Transfer the loaf tin to a cooling rack and leave for about 3 minutes and then run a knife around the sides of the tin to loosen the loaf. 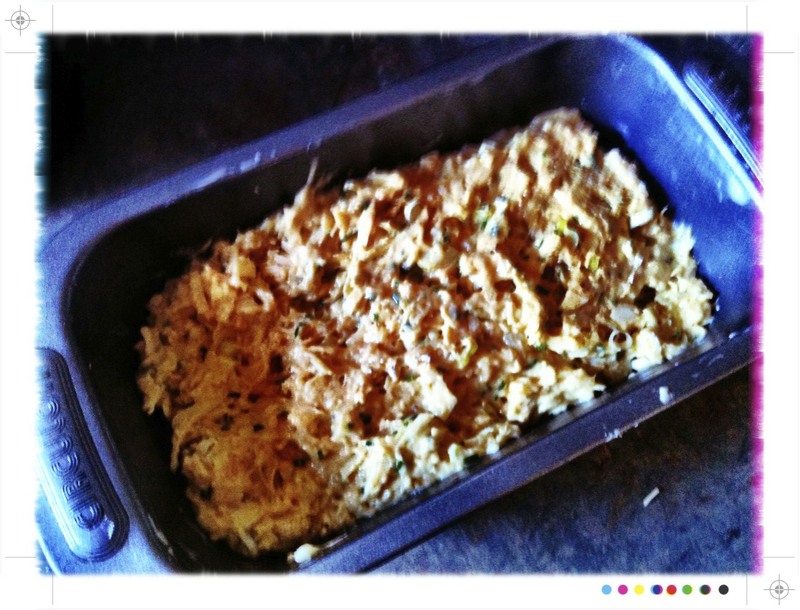 Turn the loaf out on the rack and allow to cool or take a slice straight away and slather with butter. So moreish! Cheesy and herby and when still warm with little nuggets of even more cheesy deliciousness, what more can I say I know you want to try this one! Well definitely home French cooking is another planet from fancy restaurant food, but that food French like to eat at the restaurant, this is what restaurants and chef are for, for the rest I am with you: simple home cooking. +1! I love the heat pump too, I think this winter is particularly cold. 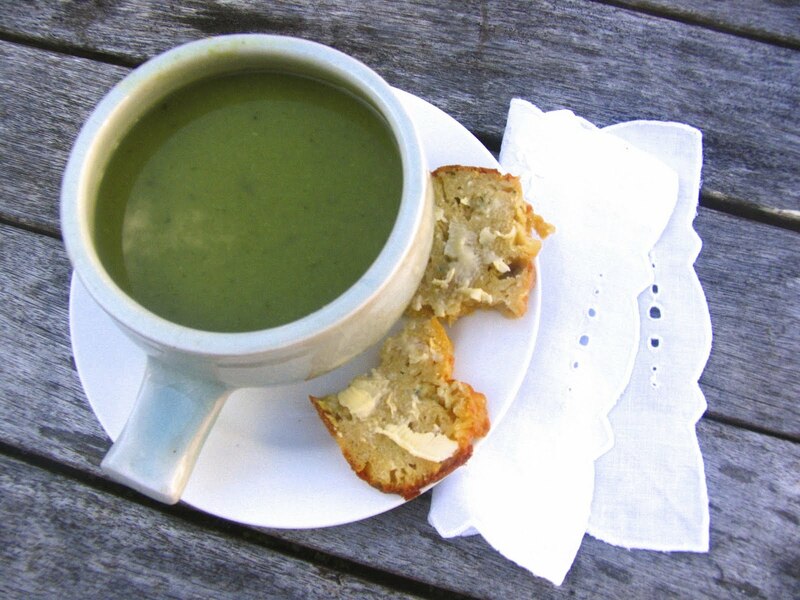 Good for soup :-), especially a nice green one to cheer me up! The bread maybe is a bit too heavy for me, I prefer to stick to simple risen dough, and have the cheese on the side. In fact that particular recipe doesn't look very French to me, or at least, I have never eaten bread like that in France, it is more like a savoury cheese cake. Do the recipe have the original French names in the book? Thanks for the +1 on the Turkish delights for prettiness, I have just posted the hazelnut version, possibly not as pretty (certainly not pink) but definitely superior in taste. tszujed! I would've never known. Love the colour of the soup too, and am intrigued by the idea of lettuce in soup. I guess I've put rocket and spinach in soups, so it's not too far off! I've heard so much about that book too. I'd love to get my hands on a copy one day. Loving the look of that cheesy bread even if I can never eat it! Millie...yes the lettuce seemed a little odd but apparently this is a French classic & it did if course work! Emma...yep the book is well worth it...definitely will become a long time favourite. 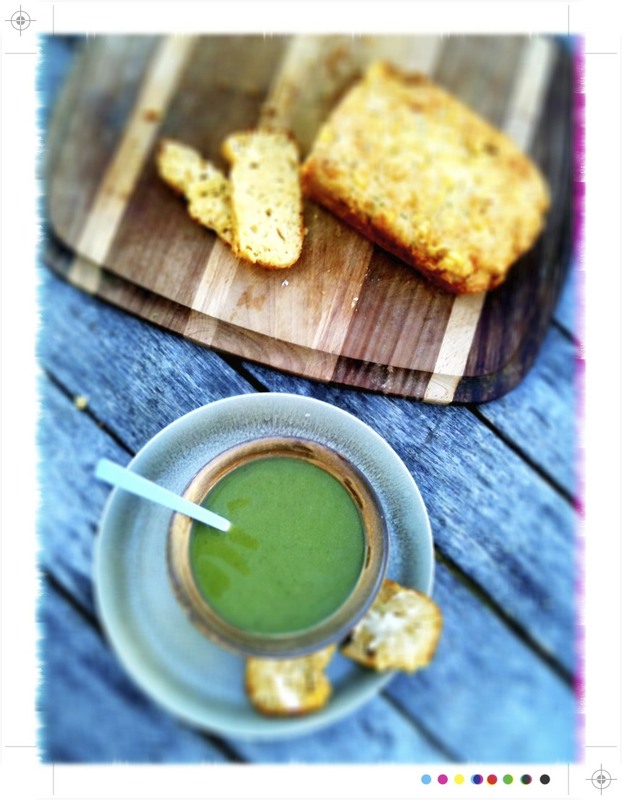 That soups sounds great & that bread would be great slathered in butter! 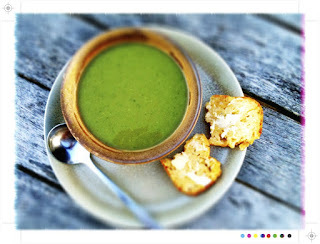 Use to hate peas but have become a fan lately, the soup sounds great. We had Jamies gooey mozzarella and smashed peas and herbs form dinner . Oh, that gorgeous green colour! I seriously need to get my hands on a stick blender - and also, clearly, on this book, if it's good enough to oust Plenty's place at the top! Hi, thank you for visiting my blog. I am happy to discover yours and am enjoying reading it very much. Around My French Table is a definite favorite of mine (I recommend Marie-Helene's apple cake). 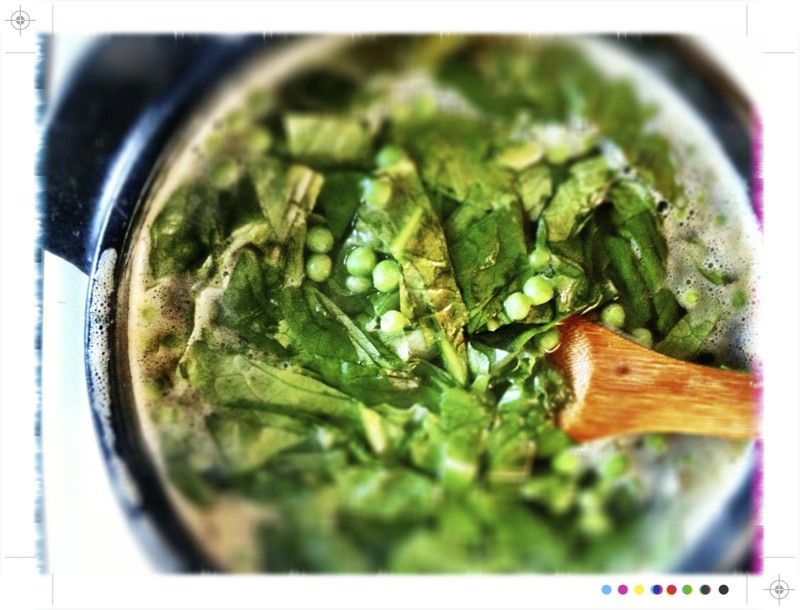 I haven't made this soup or bread yet but will now based on your photos and description (perfect for all the fresh peas we're getting right now). Big fan of Plenty, too!